Friends of mine moved in to their new house recently, one of those established Ponsonby villas which has been done up with a garage put in. It has the same bones of its early 1900s self but with far less land than it would have originally been on. 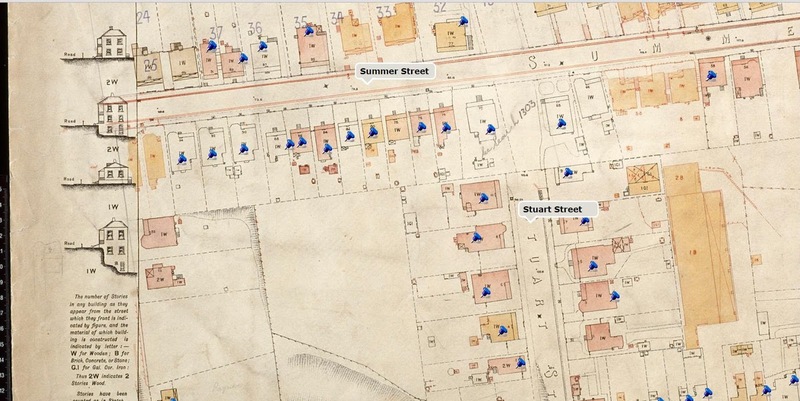 It is in St Mary's Road and it was an interesting exercise to explore the Auckland Council's Archive to see if the property was on its City of Auckland's 1908 map. 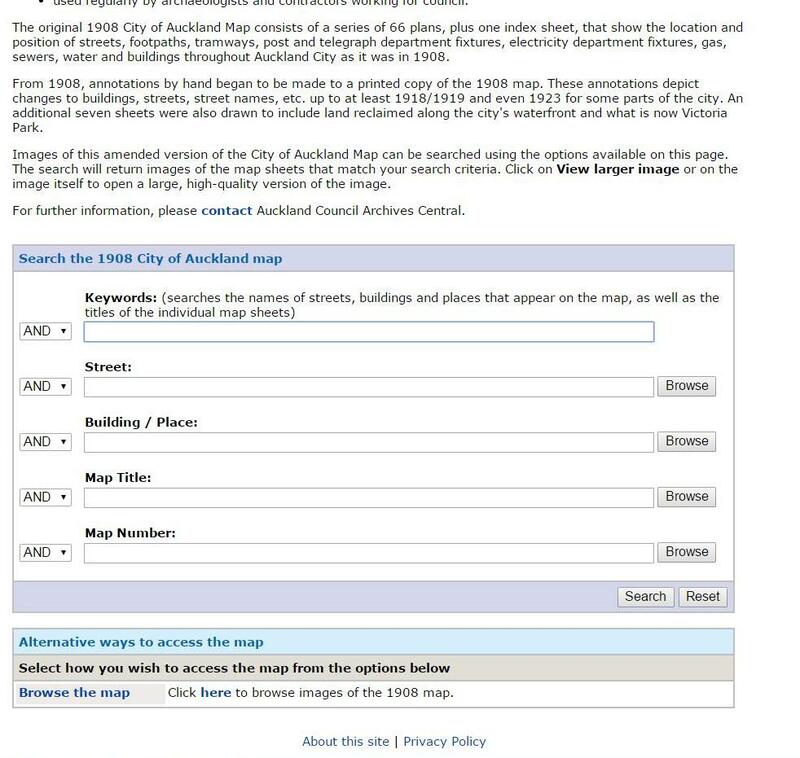 A simple Google search of Auckland Council Archives takes you straight to their home page and clicking on Search the Archives takes you to the link to the map. 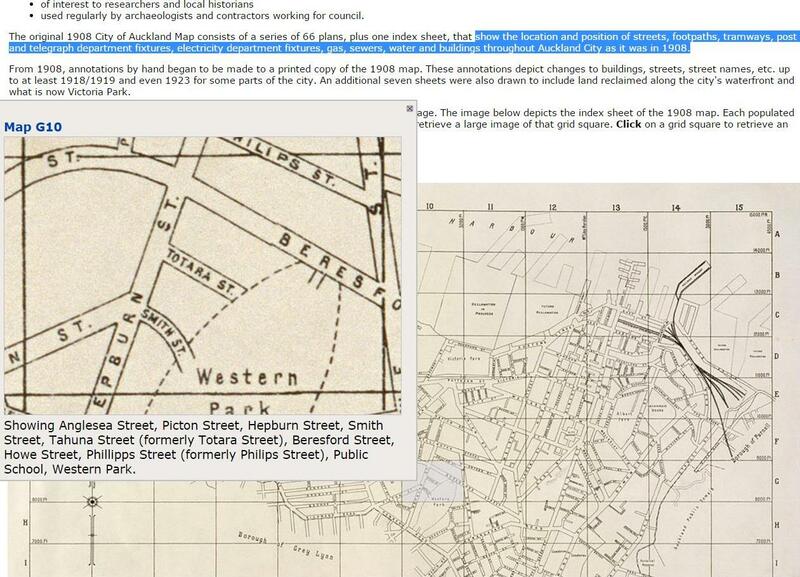 There are two different ways to search the City of Auckland's 1908 map. One is by browsing; the other is by doing a keyword search. Using the keyword search we typed in St Mary's Road and up came the portion of the map with that particular street in it. Once you have enlarged the map you will notice the blue pins. My friend's house on St Mary's Road has a blue pin, which we clicked on. This went straight to the 1908/1909 valuation record for the property. 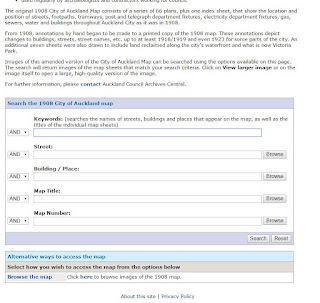 The Auckland City Council Valuation Roll Database 1908-1909 contains partial transcriptions of entries from the validation rolls and gives the names, addresses, occupations, property and legal descriptions etc. It gives the properties original street number with annotations added later to depict changes to buildings, streets, street names, etc. up to at least 1918/1919 and even 1923 for some parts of the city and incorporated into the map. It also shows the subsequent numbering of a property. You can also browse the map. Browsing is on the index sheet of the 1908 map. Each populated grid square represents a sheet of the map. Moving your mouse over the grid highlights a section of the map and clicking on it takes you straight into the map on the database. 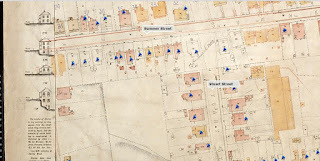 Aside from the location of a property the map highlights the location and position of streets, footpaths, tramways, post and telegraph fixtures etc throughout the city as it was in 1908. 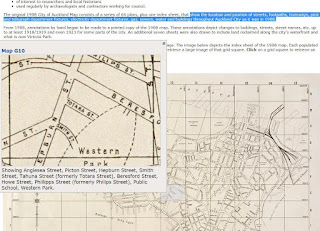 The City of Auckland 1908 map, whether you have connections to that part of Auckland or not, is a wonderful resource to search just out of interest to see the Auckland of over 100 years ago.